The diversity of the issues covered by this report required the collaboration of a large community of experts and practitioners based in the region and beyond. 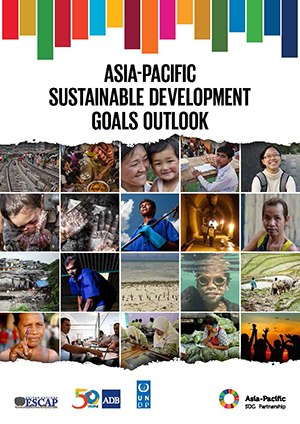 The Economic and Social Commission for Asia and the Pacific (ESCAP), the Asian Development Bank (ADB) and the United Nations Development Programme (UNDP) acknowledge the contributions made by more than 100 experts towards the preparation and production of the Asia-Pacific Sustainable Development Goals Outlook report. Learn more at Asia-Pacific SDG Partnership.